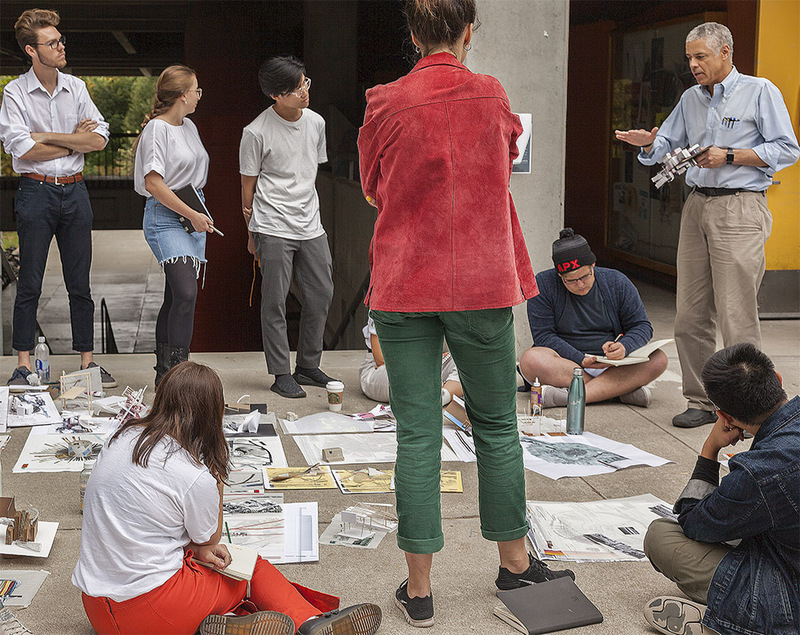 Photo Information: Fowler, IV, shown right, engages with architecture students outside of their design studio on the Cal Poly campus. The award winners were honored today, Jan. 22, in a ceremony at the Chancellor’s Office in Long Beach. Each recipient receives a $20,000 award.